Here is a robotic camera head that lets you get more creative with your slider. The Rhino Arc II automates camera movement, making the filming process more efficient. Using the ergonomic dual joystick controls, you can set up 4-axis multi-point moves in seconds. You can control everything from your iOS or Android device. You can mount Rhino Arc II to a tripod or Rhino slider. 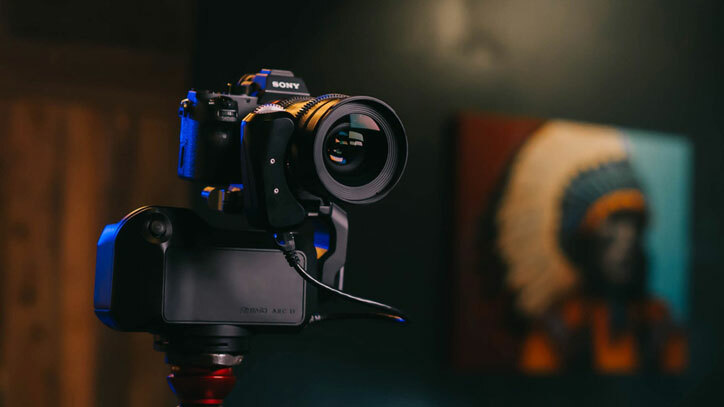 Motorized follow focus and slider motor let you get even more creative with it. The device has a built-in output for your cameras. It has a built-in 501 plate receiver.